Welcome to our Walton High School Community! During all lunches in front of the cafeteria. 20% discount on books during the sale only. Click here to access list. 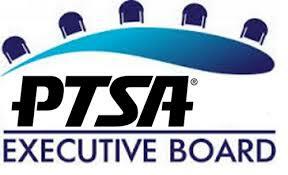 The following proposed 2019-2020 PTA Executive Board slate will be voted on at the April PTSA General meeting on Monday, April 15th at 5:30pm. Walton HS PTSA invites parents of our incoming Class of 2023 to our Walton 101 presentations in the Lecture Hall of the Walton Information Center. Join us as we present "Walton: A-Z!" Choose a date and time that is convenient for you from one of the three sessions offered. Each year, the PTSA gives a $1000 scholarship to one male and one female recipient from the senior class. To be eligible to apply for the scholarship, the student must have received the Raider Pride Award at some point in their high school career. This award recognizes students who consistently demonstrated exceptional character traits, including honesty, integrity and kindness. 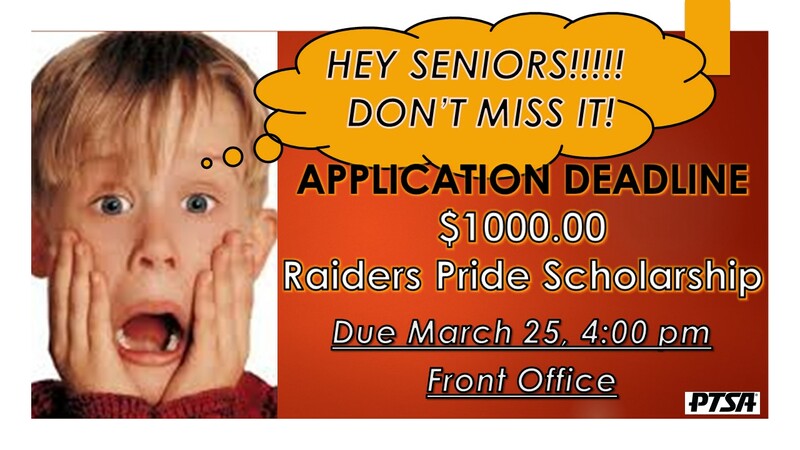 We welcome seniors who have received the Raider Pride Award to apply. Application deadline is 4:00 p.m. on Friday, March 25, 2019. Winners will be announced at Honors Night in the spring. Click HERE for more information and the application. The 2019 Margie Hatfield Scholarship application and cover letter is now available for interested senior! Applications are being accepted now and must be postmarked no later than February 28, 2019. Click below to access the Scholarship rules and application. Each spring the PTA East Cobb County Council awards one $1,000 scholarship to a Walton graduating senior. The scholarship, known as the Margie Hatfield Scholarship, honors the dedication and years of service given by Mrs. Hatfield to the youth of our area. In recognition of her volunteer involvement, the Margie Hatfield Scholarship Fund awards deserving seniors who have made significant contributions to the community. This week at Walton we had the Annual Great American Vape Out. On Thursday, the Cobb & Douglas Public Health department was on campus educating our students about the risks of vaping. We have seen an increase in students vaping here at school. We have increased our presence in areas where vaping has been reported and will continue to administer appropriate discipline for students who are in violation of the code of conduct. The vaping trend is cause for alarm for different reasons. The lack of research on effects, lack of understanding of the mechanisms and devices, and lack of control and regulation on the substances themselves are all serious and potentially dangerous concerns. Vaping also presents many challenges to parents and school officials due to the fact that the devices are difficult to identify and the traditional smoke smells are not present with vaping. In addition, students are putting themselves at risk without fully knowing what they are putting into their bodies. Many of the substances used in vapes contain high concentrations of nicotine and are highly addictive. We encourage researching and educating yourself as well, and to have conversations at home about the negative consequences of vaping. I have attached an informational power point that was developed by a colleague. This presentation may not answer all of your questions or address every concern, but we feel it gives you some good information to learn from. We hope that it is helpful. CAN YOU SPOT THE POT? For Parent and Guardians combat teen substance abuse! As parents, we go the extra mile to ensure our students attend the best schools and stay active in extracurricular activities. But our job doesn’t stop there, and we must stay vigilant to ensure our children never get involved with substance abuse. Watch the attached, and you will see how easy it is for teens and young adults to hide pills and pot. Walton PTSA, Cobb County and The Zone are offering parents and guardian a truly unique opportunity that will only take 15 minutes of your time. The Cobb County's mobile classroom called the C.O.P.E. House (Cobb Overdose Prevention Effort), will be at Walton High School. The house is designed to mirror a teenager’s bedroom, bathroom and closet. With a guided tour, you will learn about warning signs of drug use and addiction. More than 50 items (clues) are on display within the area. We ask that no one under the age of 18 or attending high school be permitted inside. Click here to reserve your confidential spot today. 15 minutes can arm you with the information you need to keep our children Drug Free. You are never too old for Trunk or Treat. Walton Teen Advisory Council invites all students and their families to attend Walton’s Trunk or Treat. Walton Clubs and Student Groups are dressing up their car trunks with scary or funny decorations and will be passing out candy. Bring your pocket change or dollars to vote on the best decorated trunk. All proceeds will benefit THE ZONE, providing a supportive environment and resources for teens and young adults seeking and experiencing long-term recover from addiction. STUDENT GROUPS and CLUBS CAN ENTER THEIR DECORATED CAR BY COMPLETING AN ENTRY FORM FOUND IN THE FRONT OFFICE. 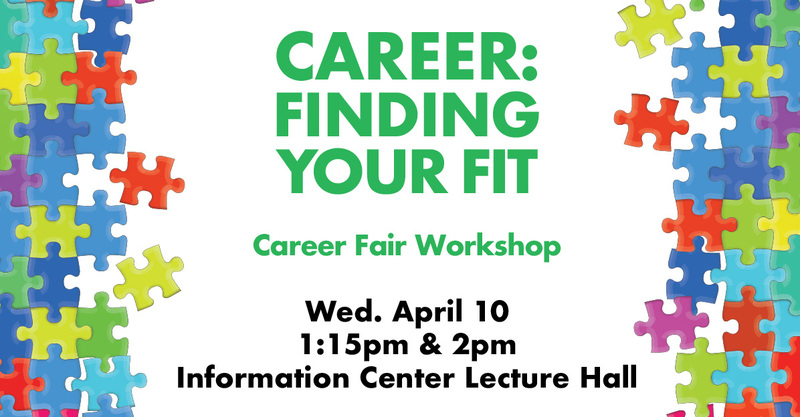 Students could find their golden ticket to a successful career at The Fall Career Exploration Fair , October 24th at 1:00 to 2:30 outside the Information Center. 30+ professionals will be on hand for one-on-one and small group career exploration interviews. All students are encouraged to participate and learn about salaries, required education and experience needed to work in various fields including health care, law, finance, sales, engineering, IT and many more. Have you ever wondered who made the decisions about public education in Georgia and in our school district? This tool from the Georgia Partnership for Excellence in Education will explain. Tuesday is the last day to register to vote in the November 6 general election. If you have college students who need to vote via absentee ballot, or you will not be able to vote in person on November 6, request an application HERE. Advance voting begins October 15. Check here for additional information. come together and volunteer! we need you! Congrats to us, Walton PTSA awarded first place "Outstanding Local High School Unit" for the school year 2017-2018 by the GA PTA at the annual convention and leadership training conference. This would not have been possible without the support and dedication of our volunteer community, it really does take a village, thank you!